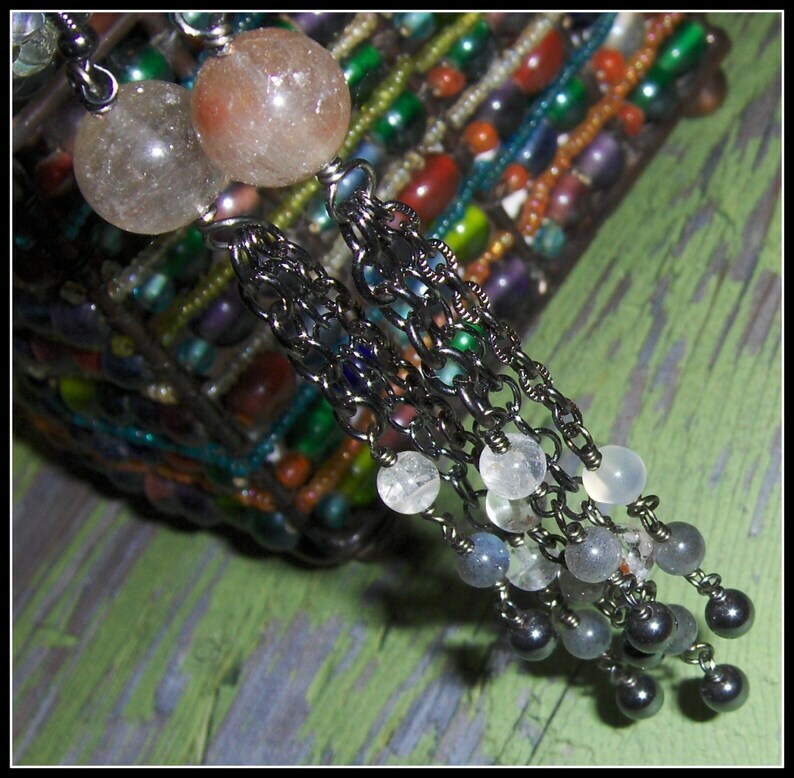 These rutilated quartz earrings are 4.75" long & lovingly wrapped on gunmetal wire. 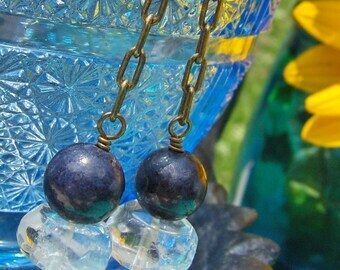 The top bead is the RQ, & it's a 12mm round. 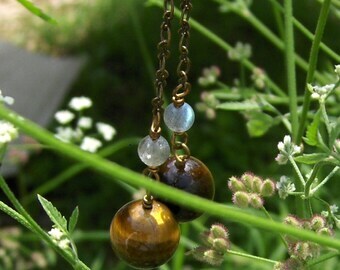 I used 3 different kinds of chain to create 3 different length drops - each with a 6mm quartz, labradorite & hematite bead. I was daydreaming about squid while I made a bunch of these style earrings. Rutilated quartz enhances mental and physical stability, self-reliance, and meditation on feminine ideas. It is reputed by intuitives and folklore to diminish fears, depression and issues with decision-making. 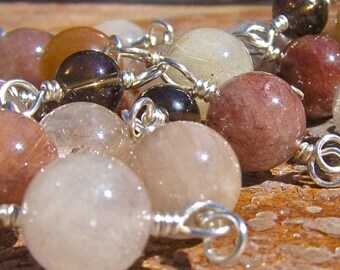 Rutilated quartz is associated with the solar plexus chakra.